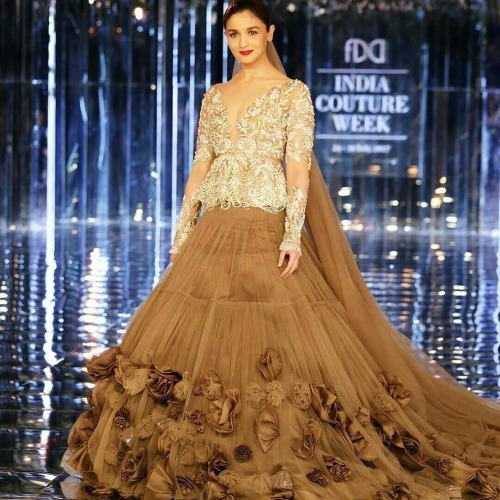 ICW 2017: Alia Bhatt-Ranveer Singh Chemistry Upped The Glamour Quotient For Manish Malhotra! 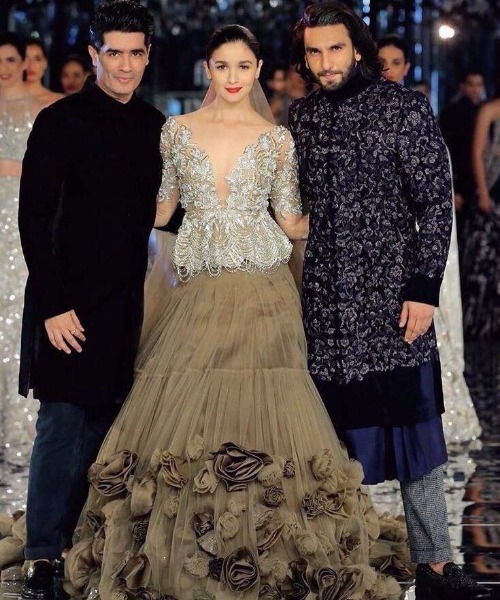 Bollywood actress Alia Bhatt along with B-town rockstar Ranveer Singh walked the ramp at India Couture Week 2017 for ace designer Manish Malhotra. 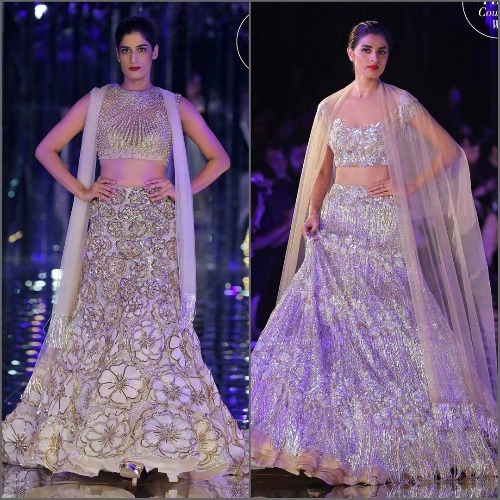 The final day of the Indian designer show concluded with Manish Malhotra’s collection named Sensual Affair. 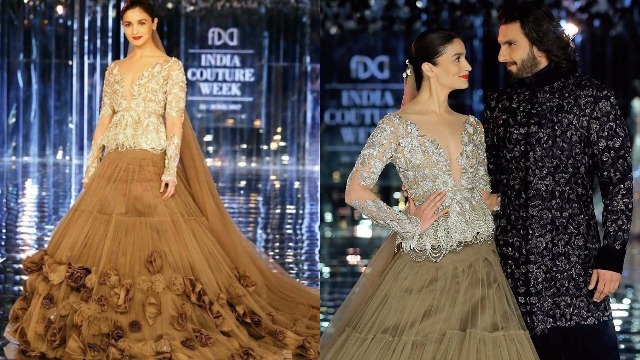 On the final day of India Couture Week 2017 (ICW 2017), Alia Bhatt – Ranveer Singh’s sizzling chemistry and energy closed the show in the bestest way for us to remember till next year. 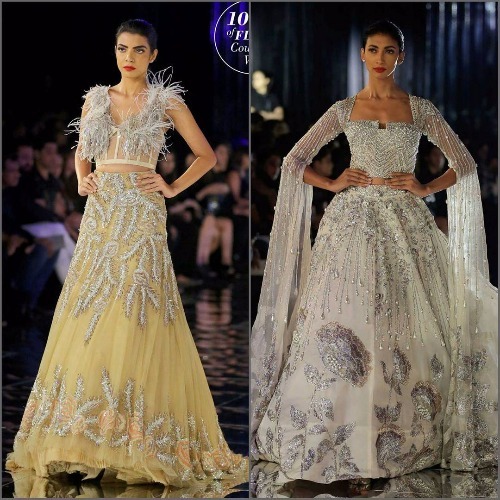 The duo set the ramp on fire with their sharp looks and couture, and mesmerizing appearance as showstoppers. 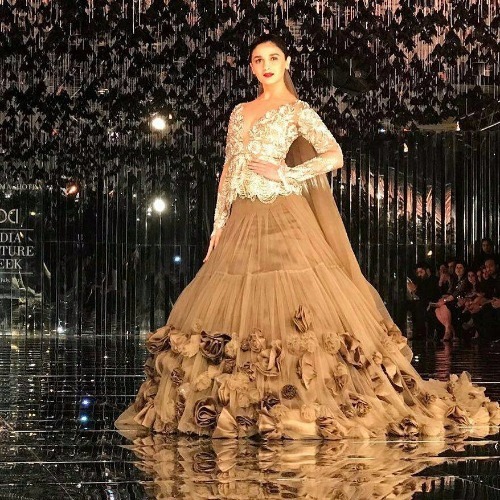 Alia Bhatt looked nothing less than a modern age bride decked in a spectacular outfit featuring crystals, roses, and an endless trail. Letting her outfit do all the talking, Alia Bhatt carried the outfit with utmost grace, minimal makeup, and no accessories. 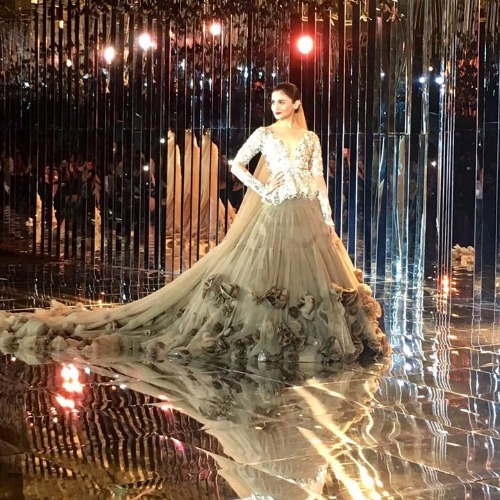 On the other hand, Ranveer Singh executed royalty as he walked the ramp in Indian wear as a showstopper for the grand night. The actor managed to grab all the attention by blowing away kisses to those seated in the front rows. Moreover, Ranveer managed to turn heads as he walked the ramp with all swag. The closing of the fashion event will be remembered for very long, thanks to Alia Bhatt and Ranveer Singh’ crackling chemistry. With their versatility, the duo managed to pull off their attire with panache. 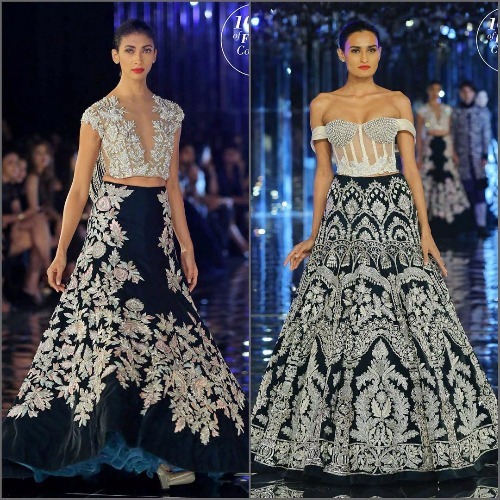 Manish showcased his collection titled ‘Sensual Affair’ that kept the audience on toes throughout the fashion event. His collection witnessed a lot of pearl work, zari, and embroidery work that added drama and glamour to each piece of his creativity. His collection only proved how his much-talked and successive label has evolved over the years. Previous : Priyanka Chopra To Produce American Comedy Series On Dancing Diva Madhuri Dixit’s Life! Next : In Pics: Kareena Kapoor, Saif Ali Khan With Baby Taimur Are Having Best Swiss Holiday Time!